He has a busy court practice, appearing in the High Court, County Court and various Tribunals on a near daily basis. He provides advice and drafts legal documents in all his practice areas and is also licensed to act for members of the public and SMEs directly in appropriate cases. Outside of work Ed enjoys obstacle course racing and triathlon. He has been a Tough Mudder season pass holder, has completed numerous open waters swims including the Strait of Gibraltar and now concentrates on the Ironman 70.3 distance He is President of the Oxford Young Professional Society and is passionate about music, playing double bass and piano. His practice includes advising, drafting documents and representation at hearings in the High Court and County Court. Ed has had recent success in the High Court in the preparation and presentation of an ex parte injunction to restrain advertisement. On the return hearing he successfully argued for the petition to be dismissed and achieved costs recovery in excess of 95% of the costs claimed. Ed predominantly acts in claims for and against professionals involved in property transactions or development (Solicitors, Architects, Surveyors etc.). Ed’s previously wide civil practice, encompassing insolvency, personal injury, property and commercial matters, means he is excellently placed to deal with energy and utility claims involving multiple legal aspects. • Successful proceedings for relief from forfeiture with respect to the lease of roof space for the placement of solar panels. Ed also secured a costs order in the tenant’s favour. • Advice on the enforceability of, and potential to remove, a restrictive covenant to enable a change of use from commercial to residential. • Successful application to amend a suspended possession order to impose further terms. Ed acts in a range of general contractual matters regarding the sale of goods, supply of services, consumer credit and debt recovery. He regularly conducts claims involving issues such as agency, construction/interpretation of contracts, misrepresentation, conflict of laws and arbitration or mediation clauses. Ed also has experience of partnerships, limited liability partnerships and acts for petitioners and debtors in commercial and personal insolvency actions. 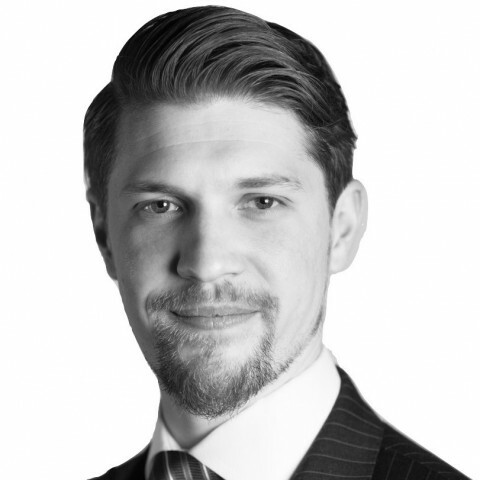 Ed has an extensive understanding of credit hire and subrogated claims on behalf of insurers, with an in depth knowledge of the relevant statutes and case law. • A complex case in the TCC involving the “upseating” of coaches. • A case involving in depth analysis of the British Standards relevant to the manufacture of Insulated Glazing Units. • A successful ex parte injunction and subsequent substantive proceedings for breach of a non-disclosure agreement and misappropriation of confidential business information. • A successful ex parte injunction and return hearing to restrain the presentation of a winding up petition for a haulage company. Ed is regularly instructed on residential construction disputes and is looking to expand his practice into commercial construction work. He is currently studying part time for the prestigious MSc in Construction Law and Dispute Resolution at King’s College London. Ed has also successfully mediated residential construction disputes. We have instructed Ed Ross a number of times over the years, and on various matters including some complex construction matters, various property-related matters and general commercial disputes. I have always found him very thorough, extremely helpful, and good with clients. He is also able to engage meaningfully with the judiciary, which can be a real bonus. Outside of these key areas of law, Ed Ross (2010) is always willing to consider any enquiry requiring the experience or knowledge needed to help you or your client. Please call Ed direct or the support team on 01823 247 247 if you would like to discuss any aspect of this profile.